The mission of the Ratner Parent Organization (RPO) is to promote cooperation and communication among the parents, teachers and staff of The Lillian and Betty Ratner Montessori School. In addition, the RPO exists to enhance the educational, financial and cultural resources of The Ratner Montessori School through volunteer, fundraising and marketing efforts. The RPO is committed to supporting the mission of The Lillian and Betty Ratner Montessori School. Click below for RPO By-laws. The RPO welcomes all Ratner parents to the RPO, and encourages everyone to get involved in The Ratner Montessori School! See below for a list of upcoming RPO events, RPO volunteer sign-up, and information about Ratner Spirit Wear. The RPO is on Facebook! The Admission Office appreciates the support of Ratner parents in assisting with Admission events and helping to promote The Ratner Montessori School in the community. Interested in helping out as a Parent Ambassador? Fill out this form to sign up! The RPO is pleased to offer our parent and student community the opportunity to show school spirit with Ratner Spirit Wear! 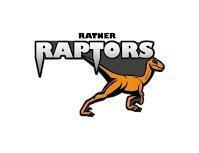 The Raptor Shop is will be set up in the Front Lobby at school on most Friday mornings. To arrange a shop visit at an alternate time, email the RPO at rpo@theratnerschool.org. Do you shop at Heinen’s? If you do, you can earn rewards for The Ratner Montessori School! Follow the instructions here and sign up for the Heinen’s “Teaming Up For Education” Program. Do you shop at Giant Eagle? If you do, you can earn rewards for The Ratner Montessori School! Register here and sign up for the Giant Eagle “Apples for the Students” Program using Ratner's code 5318. Do you shop online at Amazon? You can earn rewards for Ratner by shopping through the AmazonSmile program! Click here to log into your Amazon account through the AmazonSmile site, and start shopping! Save your Box Tops! This program is easy to participate in and raises significant funds for Ratner. Check the expiration date! No expired Box Tops will be accepted. We will receive cash to help our school! Questions, or want to help? Contact the Box Top Coordinators. Participate: All invited! Please attend this event to hear the RPO business update, mingle with friends, and enjoy appetizers. Happy hour from 5:30-6pm. Meeting will be held 6-7pm. RSVP here. Participate: Please consider donating money for catered meals, beverages, snacks, desserts or gift cards. Details: Come join us for fun and Bingo!